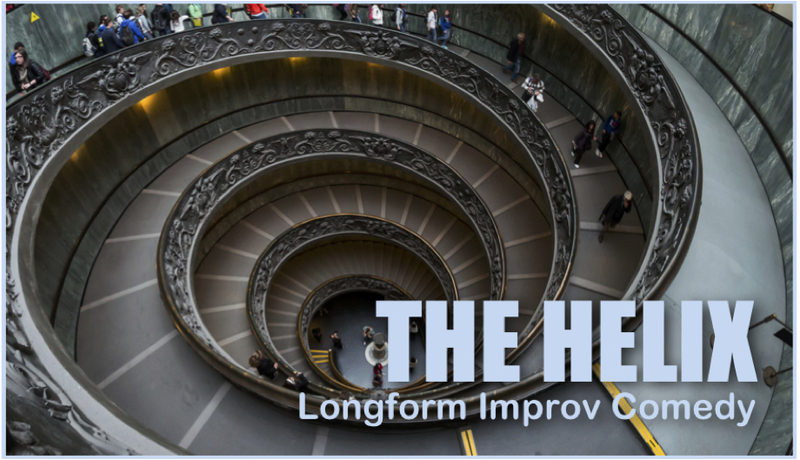 The Helix will dig into scenes and characters using focused workshop sessions and a run of shows. The Preview performance will feature a montage based on audience suggestions of places. The other performances will feature the full Helix form coupled with our other winter form, The Sleepover. Many of the shows will be in our revamped McGuffey studio with sound baffling, curtains, a ‘backstage,’ music, and improved lighting. 6-10 performers.